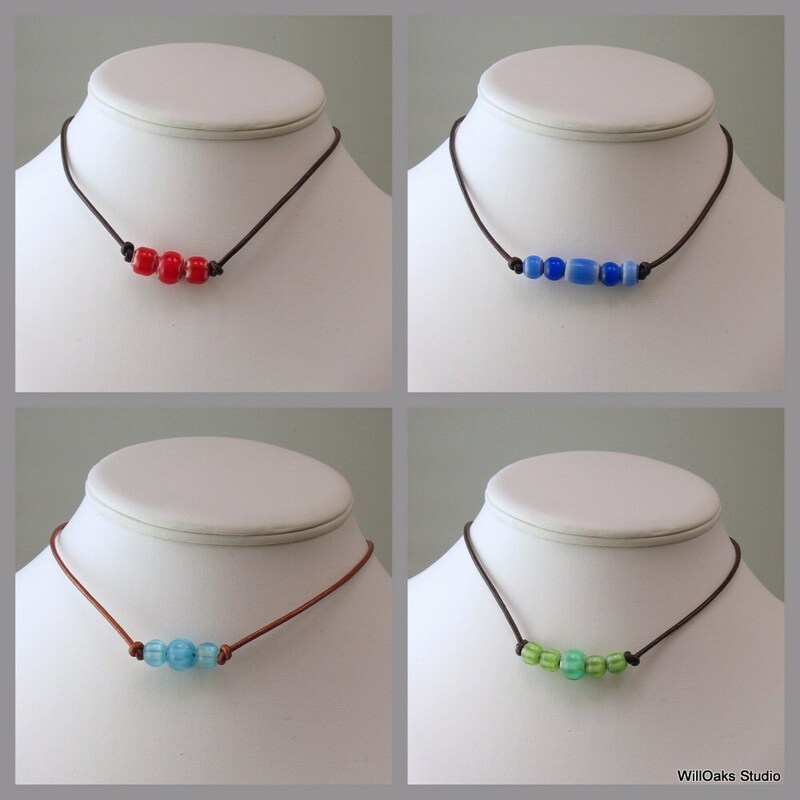 A choker necklace features leather cords and bright glass beads handmade in the style of old trade beads. 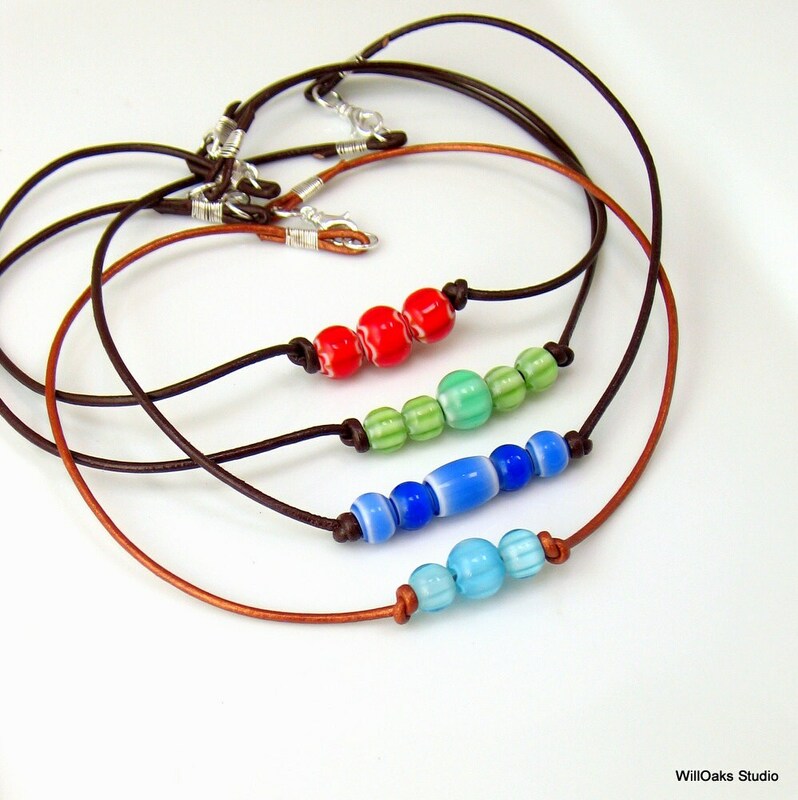 Naturally retro hippie style jewelry is cheerful and makes a very cool gift. Robust 2 mm leather is knotted to hold the beads, and the choker closes with a silver plated brass clasp and silver filled rings. Tight binding with sterling silver wire finishes each end of the leather. Limited edition and you select your color choice as you check out. My design can be customized with a different finished length--please check your size and then select it as you check out.. So easy to wear and you can wet the leather to get it to conform to your neck so it fits like a glove. 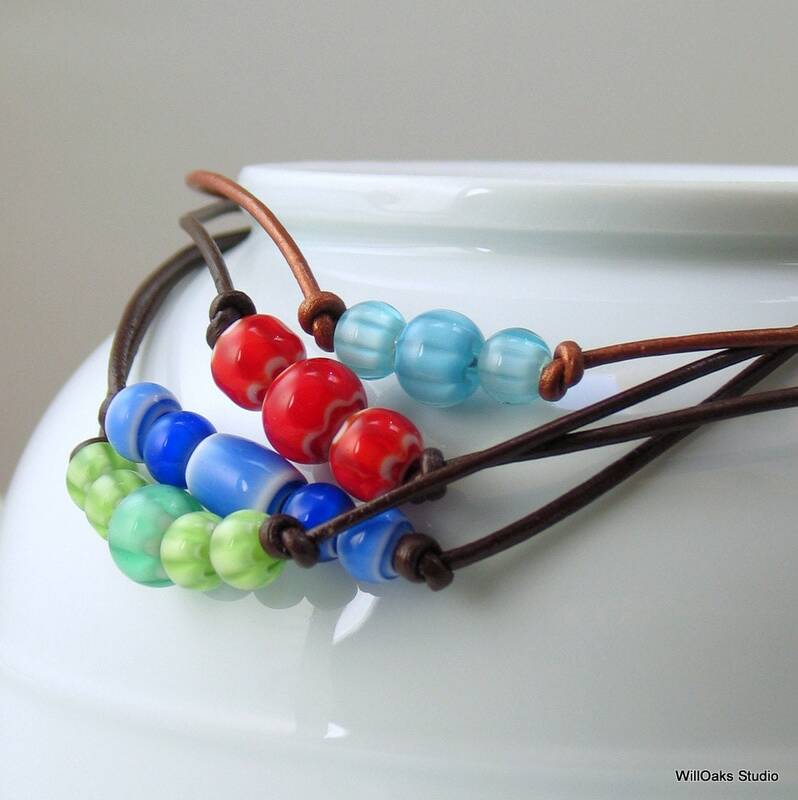 An original and affordable gift or fashion accessory! 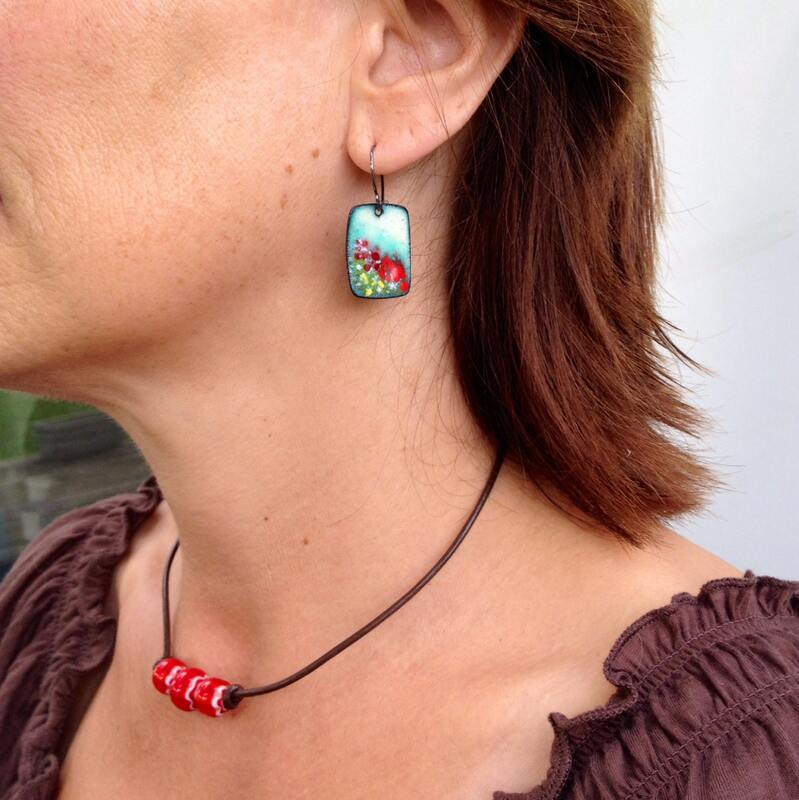 Like bright, original jewelry? 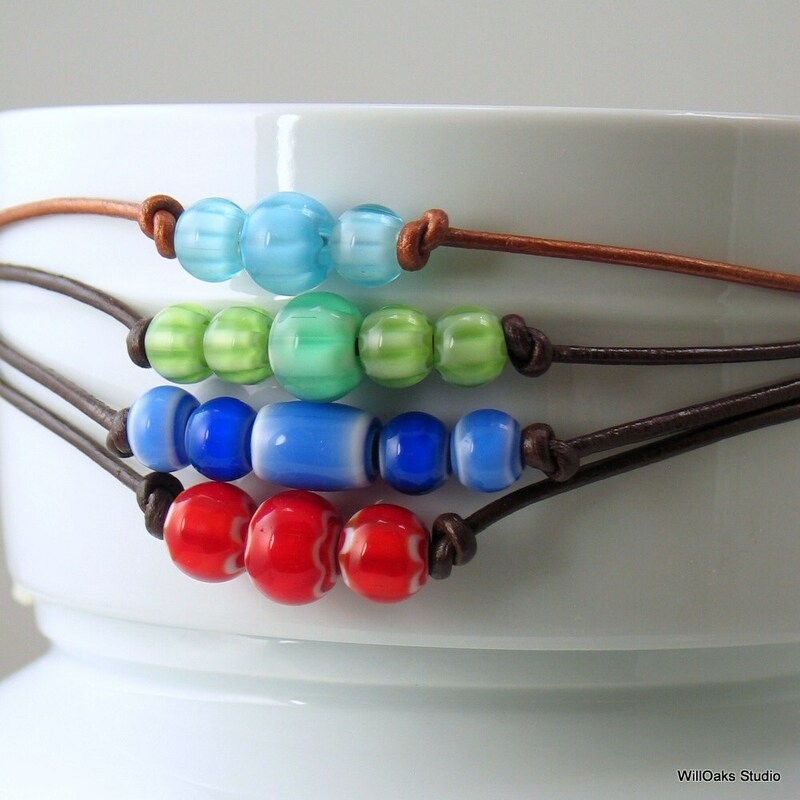 Have a different color combo in mind? Please drop me a convo to check availability, and will do what I can to customize your choker. Finished chokers are packaged in small velvet bags and mailed in cushioned envelopes, all ready to gift.